Juma finally gets the baby sister he has wished for, and entertains her with his favorite activities. In this first book of the “Tanzania Juma Stories,” meet four year old Juma and learn about the country of Tanzania, located in East Africa and bordered by Kenya and Uganda. 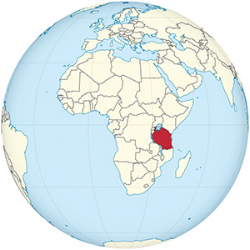 This book introduces readers to the geography of the country, as well as to Swahili words for family members and the traditions for baby naming, including a national map of the United Republic of Tanzania, a map of the continent of Africa, and a Swahili language glossary. Key Words: New Baby, Naming traditions, Swahili language, Tanzania, Africa, Animals (crab).